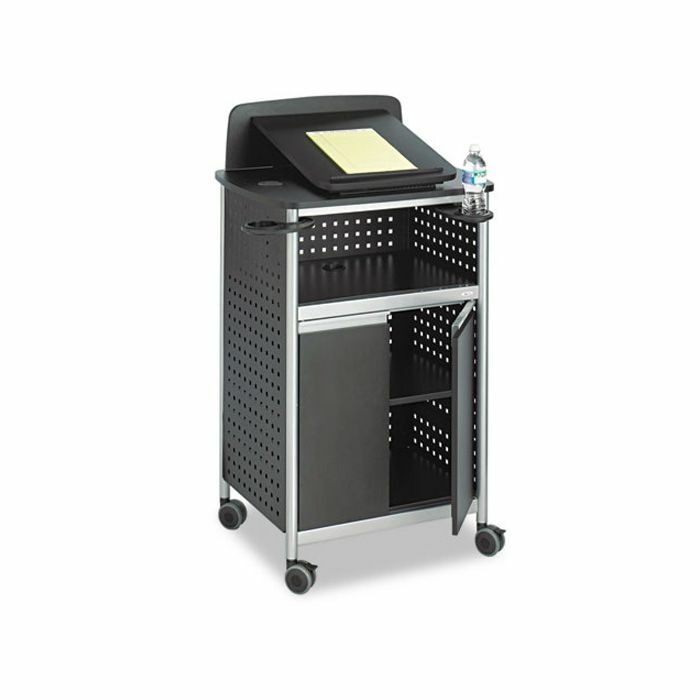 This multipurpose lectern travels easily and adapts to a variety of situations. Fold-down platform offers a flat surface for media needs. 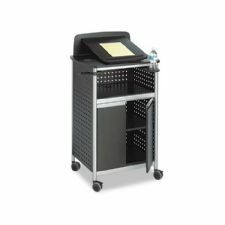 Open shelf beneath presentation surface plus large enclosed storage area with adjustable shelf help keep materials close at hand. Powder-coated steel construction with durable laminate shelves. Four easy-rolling casters for mobility; two lock for added stability.